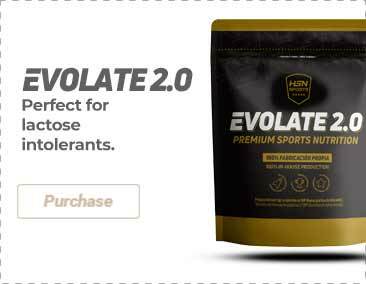 Ultrafiltered whey protein concentrate (milk, solubilized with soy lecithin), oat flour (gluten), maltodextrin, Palatinose (Isomaltulose), dextrose, fructose, creatine monohydrate, low-fat cocoa powder (10-12%), waxy maize starch, taurine, flavoring (chocolate), l-arginine base, l-glutamine, l-leucine, micronized creatine monohydrate, l-alanine, l-isoleucine, l-valine, magnesium carbonate, beta-alanine, creatine citrate, thickener (xanthan gum), solubilized creatine monohydrate, l-ascorbic acid (vitamin C), Kre-Alkalyn® buffered creatine monohydrate, l-carnitine l-tartrate , creatine pyruvate, l-lysine hydrochloride, l-phenylalanine, l-ornithine hydrochloride, sweeteners (acesulfame-k, sucralose), calcium alpha-ketoglutarate, alpha-lipoic acid, Bioperine® [Pepper fruit extract (95% piperine)]. It may contain traces of milk and its derivatives, gluten, egg, soy, nuts, celery, fish, crustaceans and products made from crustaceans/strong>. Keep in a cool and dry place. The heat and the sun can damage the packaging. Consult your doctor if you are taking any medication. Keep out of reach of the smallest children. Beta-alanine can cause a harmless and temporal tingling sensation on the skin of some people. It must not be consumed by pregnant or lactating women, children, or by long periods of time without medical control.